Abstract: Many organizations aren’t aware that they have a blindspot with respect to their lack of data effectiveness and hiring experts doesn’t seem to help. This session examines what it takes to build a truly data-driven organizational culture and highlights a vital, yet often neglected, job function: the data science manager. (1) Expert teams may grow increasingly isolated and begin to overfocus on publishing for an academic audience, thereby neglecting the needs of their parent organization. (2) The data science function is diluted by embedding experts in teams that lack the requisite knowledge to direct their work, rewarding output that is more familiar to the team and failing to reward the very work that would make the best use of the expert’s skills. In both situations, the result hampers the ability of the organization to maximize the impact and value of their data. This session examines what it takes to overcome common pitfalls and build a truly data-driven organizational culture. 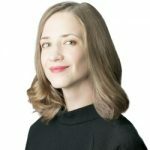 Bio: As Chief Decision Scientist at Google Cloud, Cassie Kozyrkov advises leadership teams on decision process, AI strategy, and building data-driven organizations. She is the innovator behind bringing the practice of Decision Intelligence to Google, personally training over 15,000 Googlers. Prior to joining Google, Cassie worked as a data scientist and consultant. She holds degrees in mathematical statistics, economics, psychology, and neuroscience.